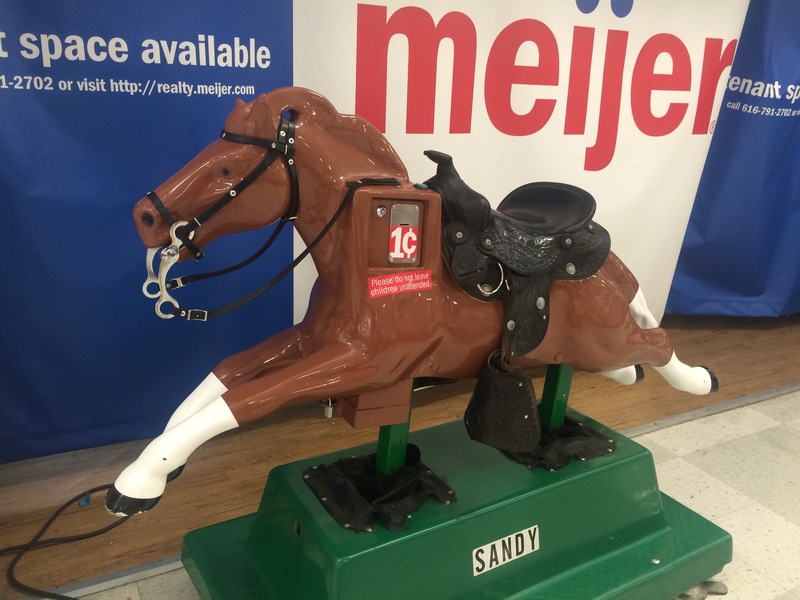 When I was a kid, riding one of these mechanical ponies was a treat. I’d drop a nickel or a quarter into the slot and spend the next few minutes blissfully imagining that I was riding a real horse. I came across this pony in Cincinnati. I’ve been here for the past five days while my daughter rows in a regatta. A penny seems like a bargain and I find it unbelievable that it’s not in constant use! I thought about it but didn’t want to win the most embarrassing chaperone of the week title. Absolutely! Five days of no riding and I was starting to get desperate! I was at a park in Ohio that had amazing riding trails. If it hadn’t been close to 100 degrees every day I might have gone I might have tried to go. I met some ladies riding who told me where I could rent a horse . . .